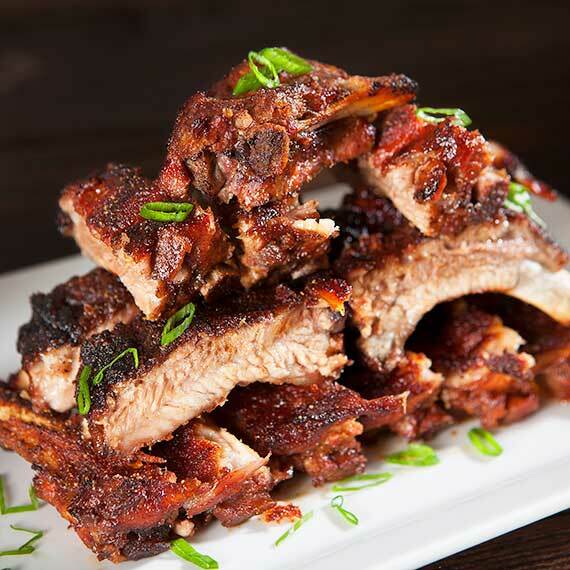 Ring in the summer with salad, sangria and savory baby back ribs! 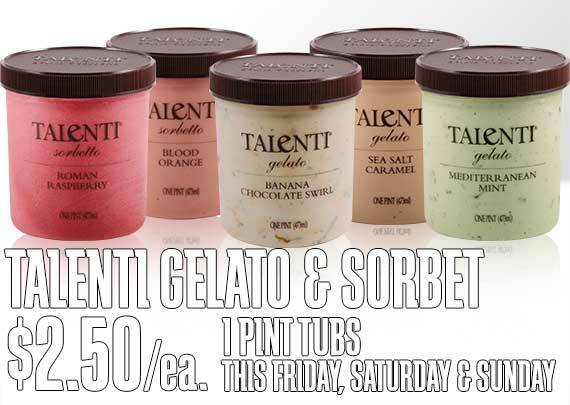 This Friday, Saturday and Sunday pick up a pint of Talenti Gelato or Sorbet for just $2.50. With a third less fat than regular ice cream and high quality natural ingredients, this is dessert that you can feel good about. Memphis-style barbecue is one of the four dominant regional styles of barbecue in the US and, like many Southern varieties of barbecue, Memphis-style barbecue is mostly made using pork, usually ribs and shoulder, slow cooked in a pit often prepared "dry." Dry ribs are covered with a rub consisting of salt and various spices before cooking, and are normally eaten without sauce. 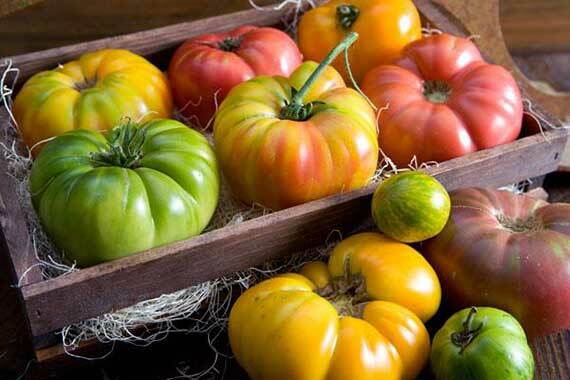 Try our executive chef’s delicious recipe for your Fourth of July celebration! We love the combination of salted anchovies with sweet corn, heirloom tomatoes, nutty Parmigiano-Reggiano and peppery arugula. 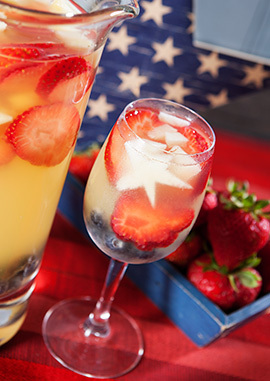 This refreshing twist on sangria blanco is the perfect festive Fourth of July concoction. The perfect Independence Day treat! 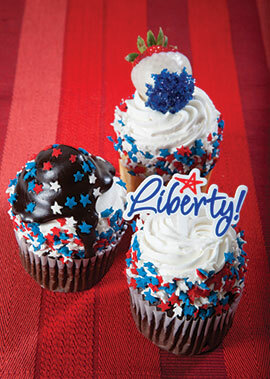 Our Fourth of July cupcakes are available in white and chocolate. Camping season is here and we’re always on the lookout for products that will help make your trip easy and fun. 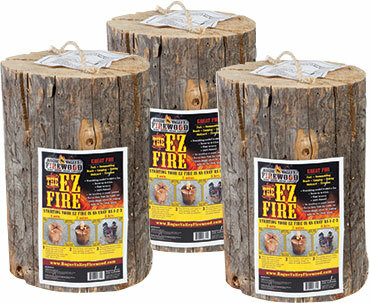 We love the EZ Fire Log from Rogue Valley for reasons that its name makes clear: it’s super easy to use. You don’t need any kindling, paper or lighter fluid–you light it using the two fire starter sticks that are included with the log. Within minutes, the log gets hot enough to use as a cooking source, and it works great for frying up the fresh catch of the day, or for roasting hot dogs and marshmallows. And even while you’re cooking over it, the log stays cool to the touch, making it safer than a typical campfire. 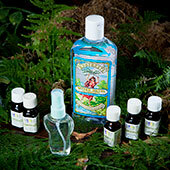 If you’re planning to spend some time relaxing outdoors this holiday, be bug free naturally with this simple, all-natural bug repellent recipe. Get your tasting on tonight at one of the following Nugget Markets locations from 5 p.m. - 7 p.m. Flights cost just $5, and attendees must be at least 21 years of age. Mingle with local producers while sampling some of our favorite products produced within 100 miles of our home offices in Woodland. Join us for a day of all things local at our Davis, Covell Blvd. location! foundation.org), City of Woodland (cityofwoodland.org) and Sacramento's Spirit of the Pocket Parade (valcomnews.com). Prices valid June 26 - July 2, 2013.